Compass Kitchens of Adelaide can design & make the perfect kitchen renovation for you because we take the time to understand "your" needs. Whatever kitchen style you prefer; from Contemporary Modern through to the traditional charm of timeless timber, Compass Kitchens are makers of the best quality Kitchen Renovations in Adelaide. We can design and make a creative kitchen just for you, balancing the three elements of function, form and aesthetics to produce for you a beautiful new kitchen with innovative ideas, with practical easy-to-access storage spaces and a layout with a functional work flow; where when we bring all these elements together for you, we can produce for you a beautiful new Kitchen which is a pleasure to use and a joy to be in; making your new Kitchen Renovation the focal point of your home where family and friends will love to come together. 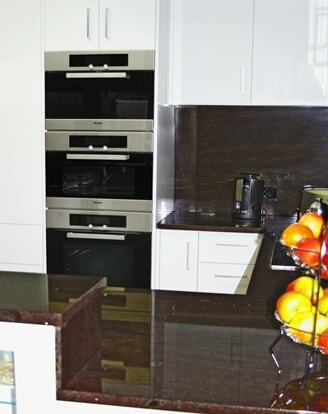 When embarking on Kitchen Renovations Adelaide homeowners may feel a little overwhelmed but at Compass Kitchens we will guide you through the whole process, taking care of everything for you to ensure you achieve a quality new kitchen that you will love. Compass Kitchens provides a complete Kitchen Renovation Service starting with the design, through to your custom Kitchen Manufacture and then through to complete Installation; including any structural work required along with Power, Plumbing, Lighting, Tiling, Splashbacks and Flooring if you need. We can also help you with the supply of your appliances at trade prices. 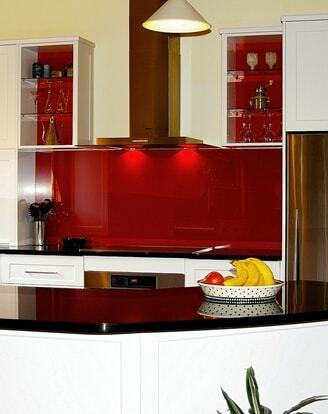 We are a very small kitchen manufacturer making beautiful quality kitchens for clients all over Adelaide. We first like to meet on site and provide you with a free, personal in-home consultation where we can best appreciate your space, storage needs, style and understand how you would ultimately like to use your Kitchen and then with this information we can then Custom Design for you a new Kitchen that fully suits your needs. Specializing in new Kitchen Renovations Adelaide wide, we Manufacture our quality Custom made Kitchens in our Factory on the beautiful Fleurieu Peninsular where our Kitchen Renovations in existing homes or New Kitchen builds for new dwellings take us all over Adelaide; including Adelaide East, Adelaide West and Adelaide Southern Suburbs as well as areas throughout the Adelaide Hills, the Southern Vales and the Adelaide Fleurieu Peninsular. We would love for you to give us a call and see how we can create for you the perfect kitchen; designed for you and your lifestyle. 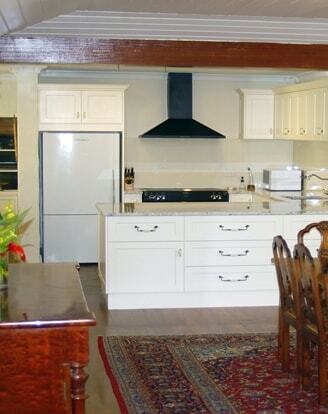 With over 35 years experience in the Adelaide Kitchen Renovation industry we are the place to go to and trust if you would like a new quality kitchen that is bespoke and made to the highest standards, a Kitchen that is truly custom-made and will stand the test of time while still being very affordable and representing great value for money. If you would like to find out more about our Adelaide Kitchen Renovations or are interested in receiving a free in home consultation and quote; then please give us a call contact us. We Design and Make Kitchens for New Building Constructions to suit your needs. It's good to talk to us early in the process. 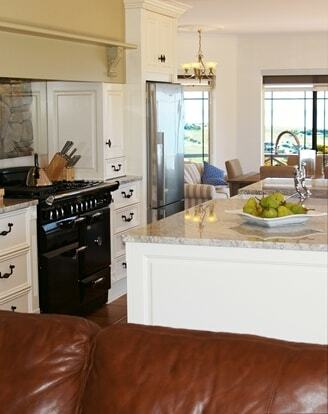 We Design and Make Kitchens for existing homes and personally manage the whole process in-house start to finish. For our Renovation work, we also manage the project to coordinate any Stuctural Work, Plumbing, Electrical, Tiling and Flooring for a stress free process. 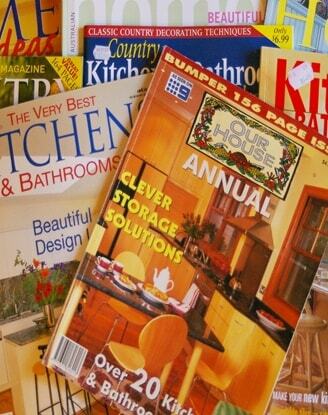 In addition to Residential Cabinetry, we also do Commercial Work. 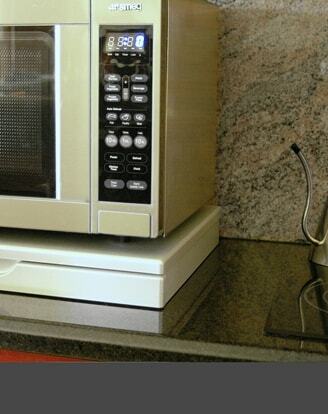 We have developed and manufactured the Microwave Stealth Shelf. Thank you for the work you have done on our kitchen renovation. We are very pleased with it and are most impressed. Already we have had many favourable comments from friends and neighbours. We have had no hesitation recommending you already to others, including our parents who have already booked you to renovate their kitchen. I hope this finds you well and flourishing. I cannot believe it has been almost 6 months, the time just slips by. Thank you once again for our lovely Kitchen Renovation. We have had nothing but pleasure from this new part of our house! 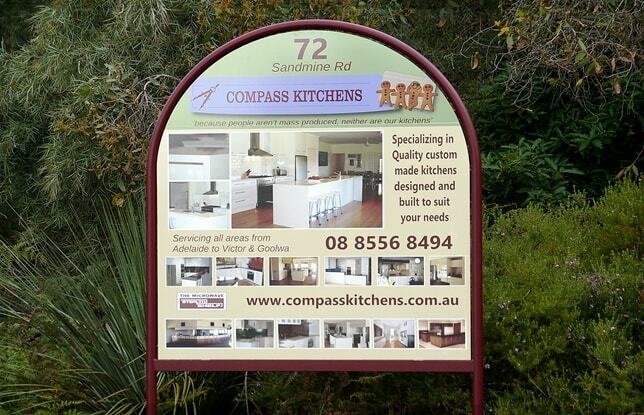 Malcolm of Compass Kitchens has now done 3 kitchen renovations for our family and one for a friend; all done here in and around Adelaide South Australia. Our first kitchen renovation was a country style kitchen that we had done 20 years by Compass Kitchens and we have only replaced this; using Malcolm again because we dramatically opened up the kitchen dining area of the house and replacing opposing stone walls with sliding glass doors. We realised that our country style kitchen didn't cut it any more so decided to replace it with a modern interpretation of an Aussie country kitchen. 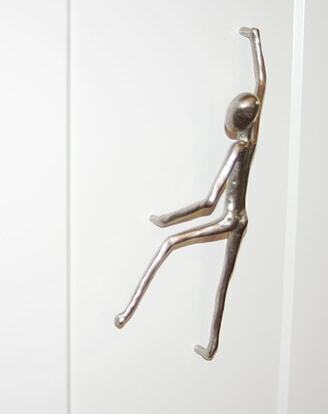 We both like the styling of Art Deco. We did try several well known kitchen companies first but found that we were being steered toward their kit formed solutions and so asked Malcolm to help us once again. He looked at our rough drawings and our colour decisions and commented "I think this will be a timeless kitchen". He helped us to work through a range of technical decisions so we have been able to be true to the original concept. This included managing issues like relaying the floor, bring in new electrical circuits and straightening a very wonky wall. In the end as you can see in the pictures the kitchen is beautifully sculptural without any unnecessary features. The room is not completely square but Malcolm has managed to absorb this so the 2 halves of the kitchen are perfectly parallel. We are very happy with this our latest kitchen renovation. It is fun to be in and it encourages our making the effort to produce wonderful meals and entertain friends and family. I highly recommend Compass Kitchens. Compass Kitchens has completed a number of projects for us over the years around Adelaide: two kitchen renovations and two bathroom renovations; and is about to undertake a full laundry renovation to match the most recent new kitchen they have done for us at our Mylor home. This last kitchen renovation involved complete demolition and much tricky work to design, build and install against very irregular walls and floor levels. In all of this, Malcolm at Compass Kitchens was meticulous, attentive to detail and ingenious in problem solving. Perhaps the most satisfying part of the process was the design phase, which - as ever - saw Compass's Malcolm Watts listen to me as a client, take on board those things that were possible and - with great experience and insight - explore with me those things I proposed which were impractical. Where we disagreed, i generally let his experience take the lead and in this and all other projects I am happy to say that his advice was invariably correct. We love the hand- painted finish to our Federation Style cabinet work: it's easy to clean, durable and always able to accommodate touch-ups or a complete colour change. 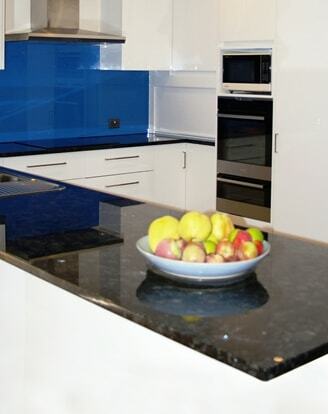 The granite is fantastic, the rear-painted glass splashbacks are always a talking point as is the 'secret' dishwasher. Compass Kitchens is remarkable for its totally bespoke approach, something hard to find these days of flatpacks and modular construction. Electrical and plumbing needs are carefully considered, daily use and convenience are prime considerations and the result is a ktichen that really works. In the end you get what you pay for; we certainly got more than we paid for and we look forward to our new Compass laundry: you cannot go past Compass's quality, durable work and fabulous designs.
" We came to know Malcolm when he came to do a quote on our very brown unworkable 1980’s kitchen. Malcolm had ideas for our new kitchen design that we hadn’t thought of at all, his planning, drafting, construction and completion were all performed in a very professional way. Malcolm ensured that the project was not a great inconvenience to us, and we allowed him full access to our home, where he became a part of the family. Malcolm put our grandsons and dogs at ease with his calm demeanour and work ethic. At the completion of our build, we have been given a new kitchen which is an absolute pleasure to work in and has been given a huge thumbs up by all who have come to our home. I would recommend Compass Kitchens to anyone who asks, and am very glad that we were able to use them.